On the weekend I went home to the lovely Hawke’s Bay. Always a pleasure and never a chore, I love visiting all my friends and family, and wherever possible eating as much delicious food as possible. I had the good fortune of some colleagues accompanying me and then going one step beyond and going fishing with my Dad. A successful day out on the water saw a great haul of fish and stacks of delicious meals ahead for all of us. 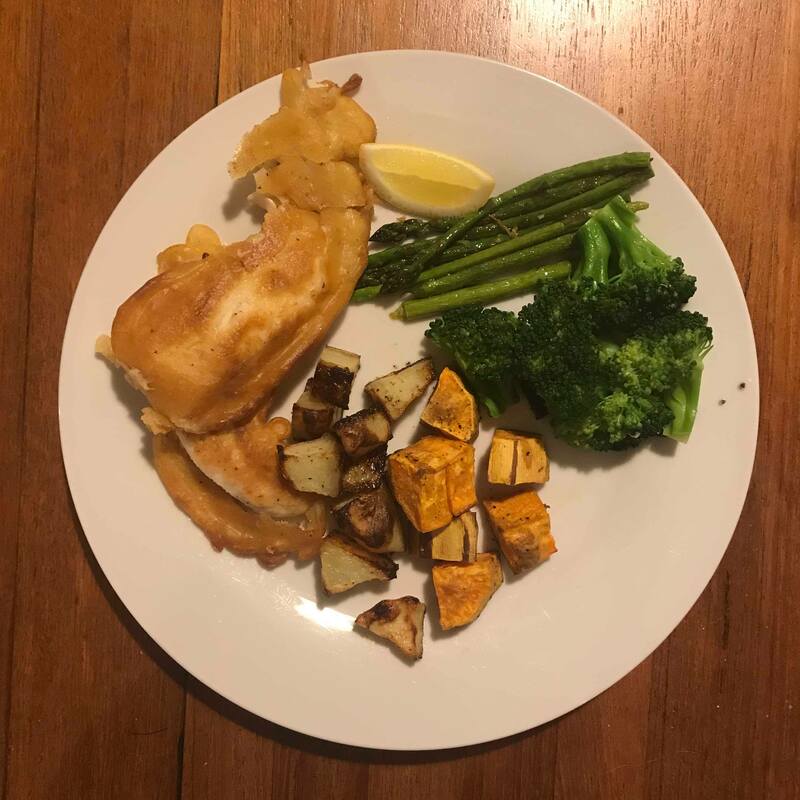 I thought I’d mix it up from my usual panko crumbing and make a beer batter to go with the fish – it’s hard to get more Kiwi than a solid dose of Fish’n’Chips. The beer batter itself is actually really easy – just choose a beer that tickles your fancy, and get pouring. It pays to use a firm white fish – for example tarakihi works well, just so that it doesn’t dissolve in the pan as you fry. 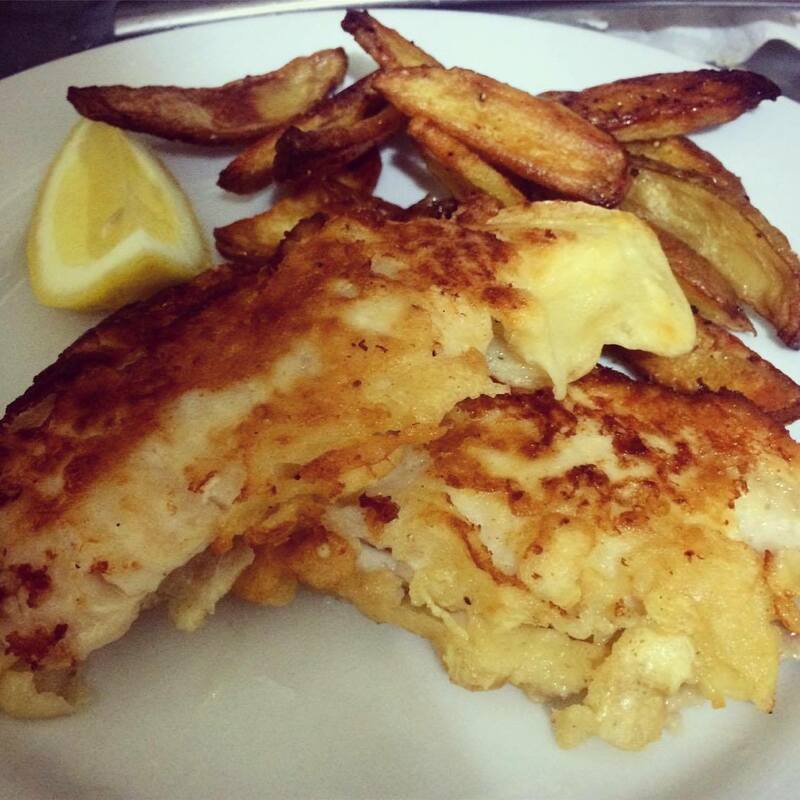 This recipe is just for the fish component, which goes great served with chips and/or salad. Put the flour and eggs into a bowl and whisk to combine. Gradually add in the beer until the batter is mostly smooth. Lumps don’t matter – they will taste yum once they have been fried. Add oil to the pan so that the bottom of the pan is at least covered. Heat oil until it is extremely hot. Dip the fish into the batter to coat, draining any excess liquid. Fry for a few minutes on each side until golden brown and the batter is cooked through. Serve with lemon wedges, and chips and/or salad.